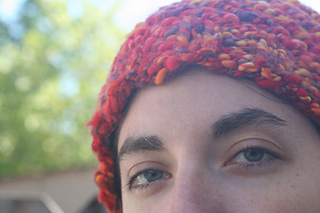 You might have received this pattern on a large postcard at a fiber festival in the past. 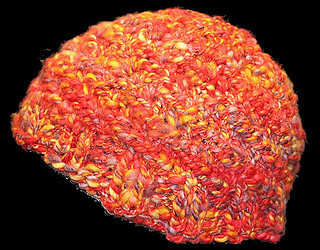 Since I ran out of postcards at Stitches West 2008, I decided to offer it as a free pdf that you can download here on Ravelry. 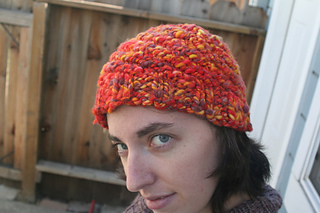 The hat is knit using Fiber Fiend Bulky Handspun yarn. 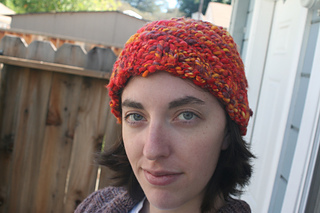 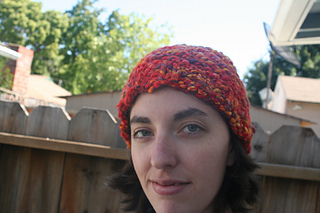 You can knit up a super quick spiral hat with any super bulky yarn!